This week’s photo challenge is (Extra)Ordinary. So it’s the perfect moment for a reposting of some pictures of the bottom of the Mopac Bridge in Austin, Texas, USA. I have a thing for the bottoms of bridges, and the Mopac Bridge is one of my favorites. Mopac is actually Highway 1, but in Austin we call it Mopac after the Missouri-Pacific Railroad that runs parallel to it for a while. 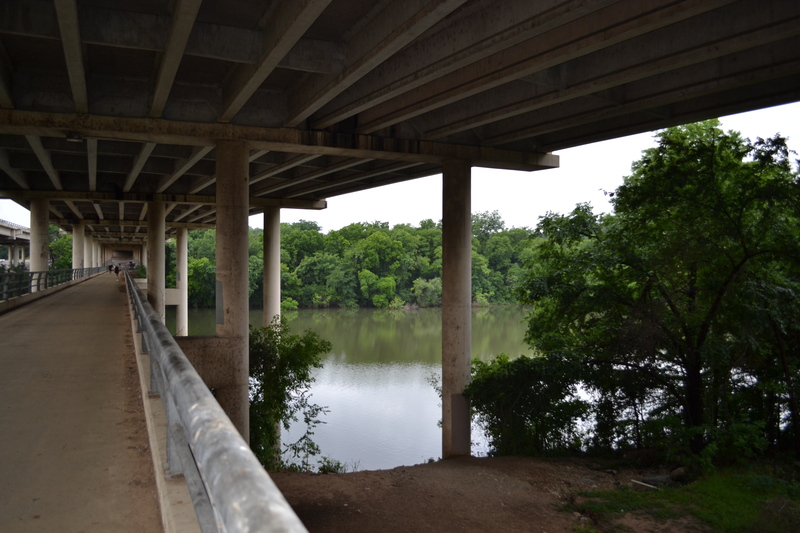 Where Mopac crosses Town Lake–which isn’t actually a lake, but a wider piece of the Colorado River–it has a separate pedestrian bridge underneath it. So when you walk on the pedestrian bridge, you look up at the bottom of the Mopac bridge. 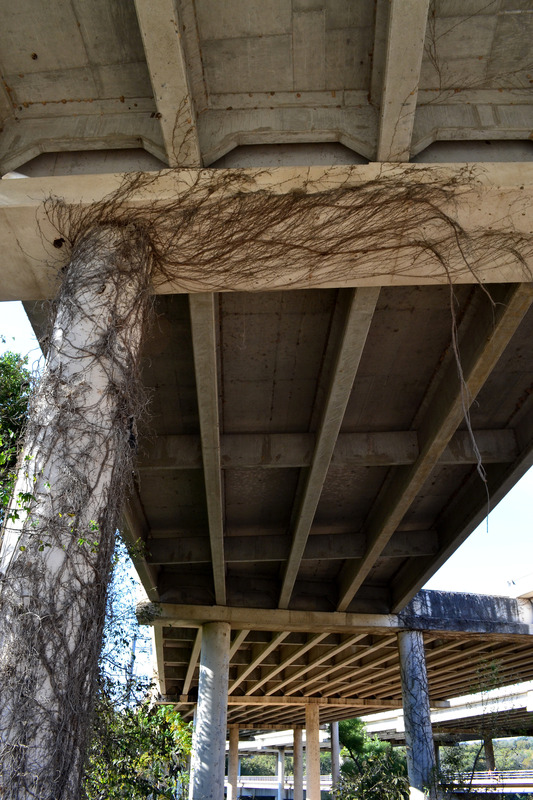 This entry was posted in Austin, Bottoms of Bridges, Photography and tagged Austin, bridge bottoms, bridges, Mopac Bridge, photo challenge, photography. Bookmark the permalink. I look forward to following you. Thanks for the like on my puddle today. Same here. I wish it rained more here in Texas. No way to take pictures like that! Any rain just gets soaked up immediately. Either that or you’re too busy being washed away in a flash flood! Interesting bridge, and great photos! I like these! And if you’re ever in Portland, Oregon, make sure to check out their array of bridge goodness. Thanks. I was in Portland years ago. Great town. But I wasn’t into the bottoms of bridges yet. I’ll check them out whenever I get a chance again.